We are happy and honoured to have Chiara’s talent recognized by the UBC President this year for her tireless commitment to the student learning experience and to ensuring the well-being of our undergraduates. Chiara will receive the award during the Graduation ceremony on November 28. Previous awardees from the Faculty of Forestry include Gayle Kosh (2015, Director of Graduate Student Programs), Ken Day (2014, Manager of Alex Fraser Research Forest) and Paul Lawson (2010, Director of University Research Forests). Chiara Longhi approaches all aspects of supporting the student experience with drive, enthusiasm, and vision. As the Faculty of Forestry continues to grow, Chiara is committed to enhancing the student experience starting with getting to know students personally, facilitating connections within the community, and holding a focus on the mental health and well-being of students. 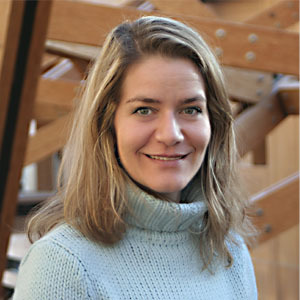 Chiara provides leadership and strategic direction for student services and fosters a positive environment for the increasing undergraduate student body. She continually motivates her team to maintain a top student services experience. In addition to going the extra mile to build a welcoming community, Chiara creates abundant and rich opportunities for students. She has improved the offering of social, academic and professional events in the Faculty, and grew interested in the mentorship program by encouraging more mentees and mentors. Under her leadership, a new staff position was created to help connect students with volunteer, work and mentorship opportunities. Chiara encourages students to become involved in all aspects of student life, and leads by example by volunteering her personal time for a variety of campus events and committees that aim to improve the student experience, whether through the implementation of new technology and systems, fundraising, or special ceremonies. 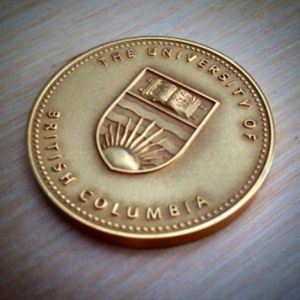 The Award for Excellence is the top award presented to UBC staff in recognition of excellence in personal achievements and contributions to UBC and to the vision and goals of the University. Nominees have to demonstrate excellence in their area of work and in personal achievements, over and above their job description and improve the value, efficiency, and sustainability of the services they provide. They also maintain a consistently high quality of service, display commitment to community enhancement, exemplify good citizenship through personal volunteerism or by helping to position UBC as a good citizen in the wider world and make outstanding contributions to UBC. Read more about the 2018 winners from the Focus on People website.